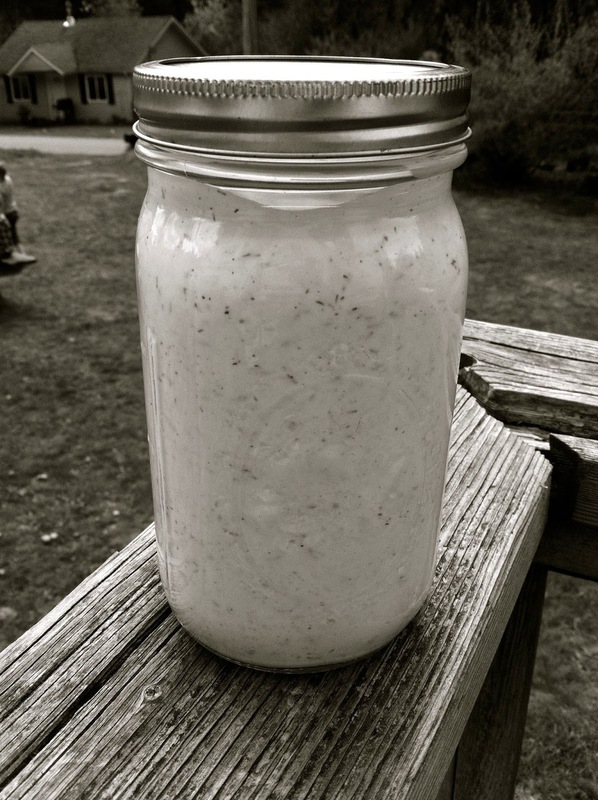 Today I made a jar of ranch dressing. I discovered the deliciousness of homemade salad dressings at a dear friend’s home. After having tasted such amazingness I couldn’t eat the store bought stuff any longer. There was no flavor at all! Especially a certain Hidden Valley! It seemed so impressive that they made it from scratch. They assured me how easy it was so I thought that I would try it. They were right! Here is a recipe for ranch that I found and that is super easy. This fills a 1 quart jar. I doubled the recipe for you. So if you have a smaller family just divide in half! I hope you all will try this and enjoy some better tasting salad this summer!